For movers and shakers in the financial and cryptocurrency world, and in many other arenas, live conferences and summits are not novel concepts. In fact, every month, some of the most influential people from different niche groups converge in various parts of the globe for conferences. I’ve been attended many conference events in the blockchain and cryptocurrency events, either as a keynote speaker or moderator. On many instances, I’ve gotten a chance to not only learn new concepts and ideas, but to impart some of my own. The cryptocurrency atmosphere has experienced rocky grounds of late and solutions to some of the challenges in the industry have been generated in some of these conferences. But beyond industry matters, cryptocurrency events present great opportunities for finance or business-focused ICO initiatives such as Gath3r, BlockVest, Noiz Chain and BQT to raise funds. For ICO projects such as ONe Network and URAllowance and IOU that are focused on enhancing social interactions and consumer satisfaction, conference events can provide interesting opportunities to demonstrate how they drive change. Below are top five reasons why I think participating in blockchain and cryptocurrency related conferences could change your outlook of the industry and even make your ICO work for you. Though it may seem obvious, the benefits of meeting influencers face-to-face cannot be underestimated. Most ICOs fail to succeed because there aren’t enough investors attracted to their project. Participating in ICO conferences can create interesting opportunities for issuers to introduce their concepts to a ready market of like-minded individuals who have the capacity to finance the projects. It is true that a lot of what happens in conference halls has to do with learning about new products and services, but this is only one aspect. 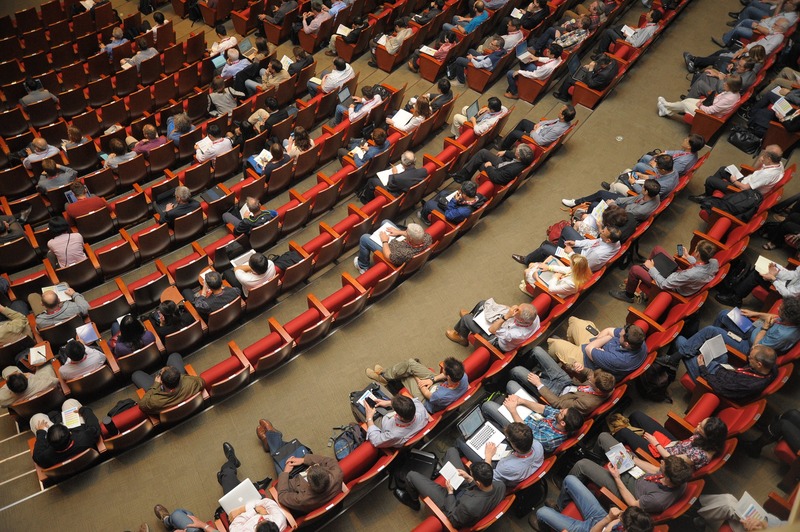 In addition, cryptocurrency and blockchain conferences present attendees with opportunities to mingle and network with fellow associates according to Falkstedt. “Many events increase awareness of the industry in general but there is a big difference between them as an ad channel for ICO. In my view, events should concentrate more on connecting ICO companies and investors to each other,” he adds. Cryptocurrency and blockchain conferences provide opportunities for ICO companies discover different ways to make their ICOs work. People with divergent thoughts, skills and abilities meet in a single location and interactions primed with knowledge that are bound to benefit your business. During interactions, it is best to determine which tools are best suited for your project then focus on getting as much insights as possible on how to be better at what you already do. Just because you have been doing something for a long time doesn’t mean you’re the most qualified at getting things done successfully. Sometimes getting a fresh spin on an otherwise traditional approach may be the necessary key to achieving ICO success. The aim is not only to raise funds, but also to have a successful project that is viable and ongoing afterwards. ICO companies can get tips and tactics in conferences from big names in the industry. ICO issuers can take advantage of ‘meet and greet’ and other networking events to identify potential partners and discuss future prospects with the best of the best. For companies that approach ICO funding singularly by utilizing one-dimensional approach, participating in conferences helps in expanding the thinking process from exposure to innovative approaches. ICO companies that find it difficult to interest investors in their products can learn new ways of doing so during conferences.